29/03/2001 : Following his premature exit from the All England Open at the hands of India's Pullela Gopichand, Peter Gade will have another shot at a second 2001 Grand Prix title at next week's Yonex Japan Open in Tokyo (3-8 April). Although Gopichand won't be playing this time round, top seed Gade will have equally troublesome opposition from the rest of the men''s singles line-up, which includes Roslin Hashim as second seed, who'll be looking for his second straight GP title after his Swiss win, and Olympic gold and bronze medallists Ji Xinpeng and Xia Xuanze, seeded fourth and third respectively. Enjoying a bye in the first round, and playing a qualifier in the second, Gade's first test will most likely be against Malaysia's Commonwealth champion Wong Choong Hann, who's making a long-awaited return to the circuit after an operation for a niggling wrist injury saw sidelined since last November. 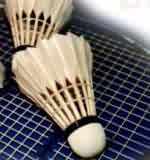 All England runner-up Chen Hong, seeded sixth, could also trouble the Dane in the quarter-finals. Second seed Hashim, after his first round bye, should have a mere formality against England's Michael Edge, while Xia takes on Mark Constable, also of England, in his first match of the tournament. Camilla Martin heads the women's singles line-up, and although the tournament is missing the top two Chinese girls - Gong Zhichao and Dai Yun - the world champion will have to get past their equally capable teammate, Zhou Mi, if she's to take her second title of the year. They're neck-and-neck on past performance having won three games apiece in their previous encounters. But Zhou, at least psychologically should have the edge as she's won on the last two occasions, most recently in the All England quarter-finals. Sweden's Marina Andrievskaya is the third seed with former World Junior Champion Gong Ruina in fourth, while British number one Kelly Morgan, seeded sixth, will have a tough first round clash against reigning Asian champion Xie Xingfang of China. In the men's doubles, top seeds Jens Eriksen and Jesper Larsen should have a clear run until the quarter-finals where, if the seeds evolve, they'll face Indonesia's All England-winning combination of Tony Gunawan and Halim Haryanto, seeded fifth in Tokyo. The second seeded spot goes to Flandi Limpele and Eng Hian, while Malaysia's Choong Tan Fook and Lee Wan Wah are in third. Top seeds in the mixed doubles, Michael Sogaard and Rikke Olsen will have another shot at taking home their first Grand Prix title this year, having come painfully close in the Korea, All England, and Swiss Opens. Jens Eriksen and Mette Schjoldager, Swiss Open champions, are seeded second, followed by Olympic champions Zhang Jun and Gao Ling in third, and England's Ian Sullivan and Gail Emms reforming their partnership to take the fourth seeded spot. The Yonex Japan Open is the last Grand Prix event before the World Championships and Sudirman Cup in May and June, so the players are sure to go all out to try and secure a good seeding for the world meet. Make sure you follow all the action here at World Badminton Online.